Saturday 17th June, 9.30am until about 12.30pm/ 1pm in Marlow, Bucks. Do you just love anything to do with running? Do you need motivation to get back out there and run? Are you new to running and find the training jargon all a bit confusing? Not sure what you should look for in running trainers or a Sports Bra? Would you like some advice on nutrition? Have you been injured or are you worried about injuries? 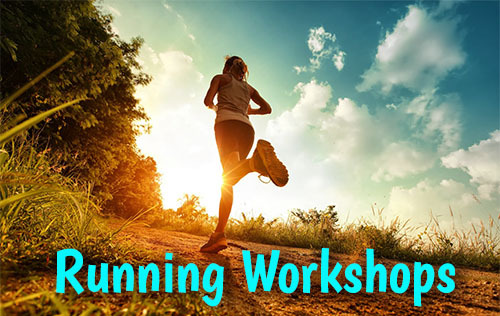 Would you like to learn how improved posture can boost your running? Marathon runner Brian Bower from Runners’ Retreat will advise on trainers and Sports Bras. Nutritional Therapist (Zest4Life) and runner Ann Garry will talk with you about key nutritional principles that support running and a healthy lifestyle. Osteopath and runner Jane Kaushal will discuss injuries with us and do a Q&A sesh. Specialist Physio. Lindsay Aston will take us through administering CPR in an emergency – something all runners should know how to do. And I will make sure you leave feeling more motivated to run than ever! Tea, coffee, water and snacks included. And of course a fantastic Goody Bag! Sign up and you will automatically be entered into a fantastic PRIZE DRAW to win one of two Sports Bras kindly donated by Shock Absorber – Britain’s number one sports bra brand. Please contact me for BACS details, or my address if you would prefer to pay by cheque. Venue – my studio but more details when you book.